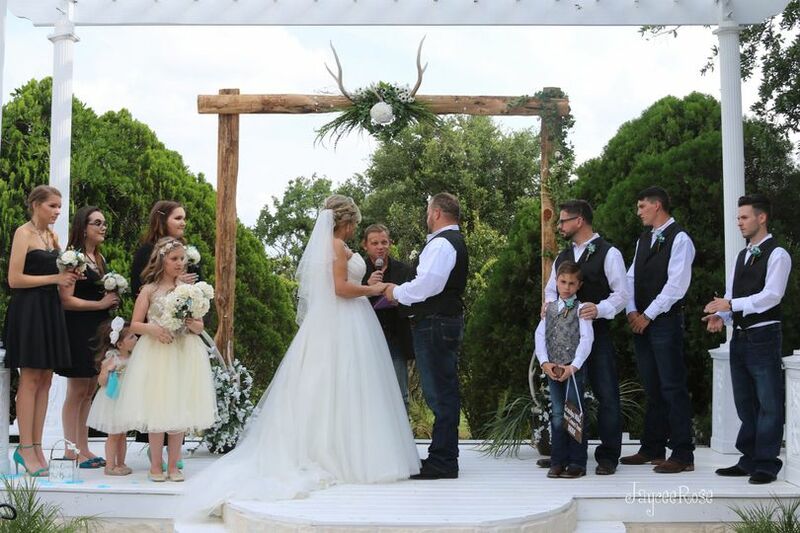 Grand Rose Events is a venue located in Tomball, Texas, that serves the Houston metro and Montgomery County area. 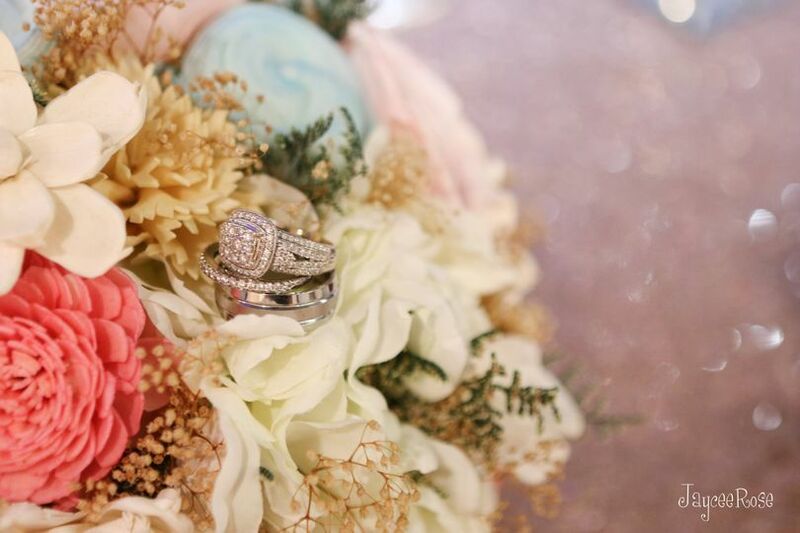 The team at Grand Rose Events would be honored to host your lovely wedding at their beautiful, classic venue with spacious indoor and outdoor settings. Grand Rose Events’ staff is determined to take care of you so you may have an amazing wedding in the company of your friends and family. Neither you nor your guests will forget your special day at this charming, traditional venue with contemporary elements. 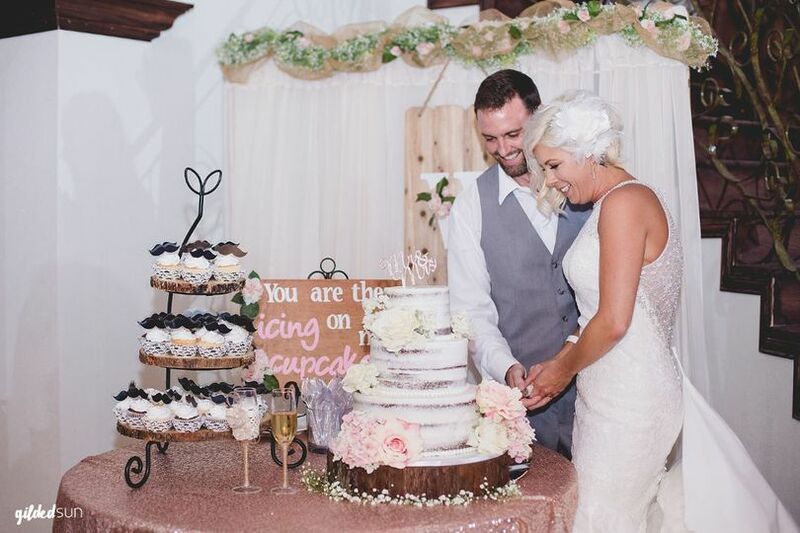 Couples may host up to 250 wedding guests at Grand Rose Events for their ceremonies, receptions, bridal showers, elopements, engagement parties, and rehearsal dinners. 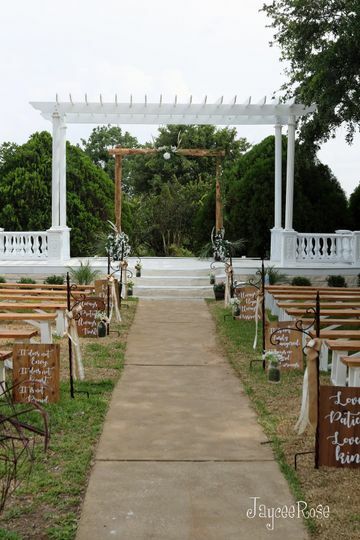 This spacious venue is a wonderful option for couples who want an outdoor ceremony underneath the lovely garden arbor set amongst five acres of land. 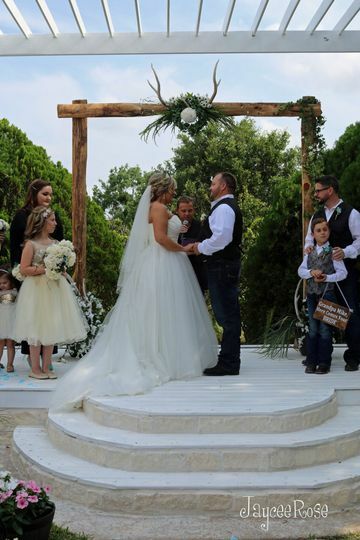 Such a country-like backdrop with views of vibrant green trees on their well-landscaped grounds is a great space to entertain your guests for wedding events and more. Couples may also hold their ceremony inside the stunning and elegant Rose Chapel with neutral colors to go with your chosen theme. Their modern indoor area is a blend of modernity and rustic charm. It is a lovely option for couples who want a large space that they may customize to fit their needs and add their own personality to their festivities. Grand Rose Events is thrilled to work with you. Their staff is well-equipped to handle your needs and they will do the best they can to make sure your day is special and stress-free. They offer all inclusive packages to ensure couples are well taken care of and also allow couples to choose their own outside vendors. Couples will also have a bridal suite where they can get ready and there are also bathrooms located on the property. 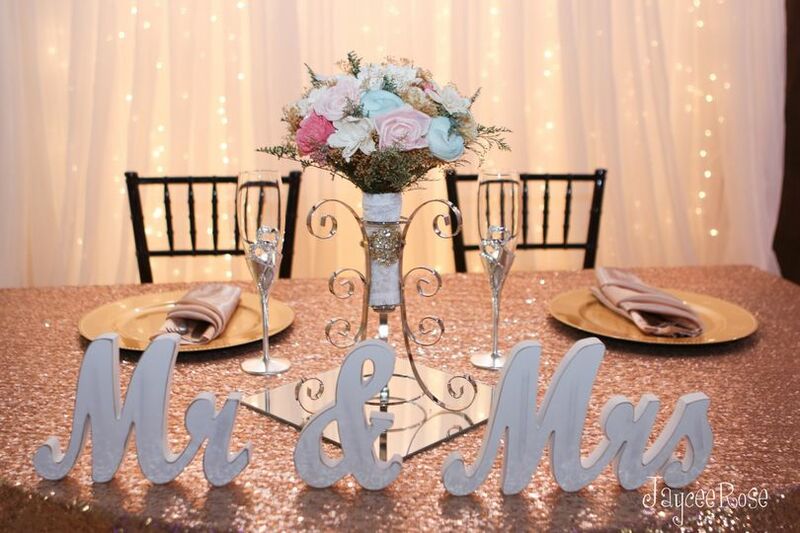 Grand Rose Events would also be happy to provide you with a wedding planner to help coordinate your events. Teri and her staff made my wedding dreams come true! Everything was detailed and perfect! 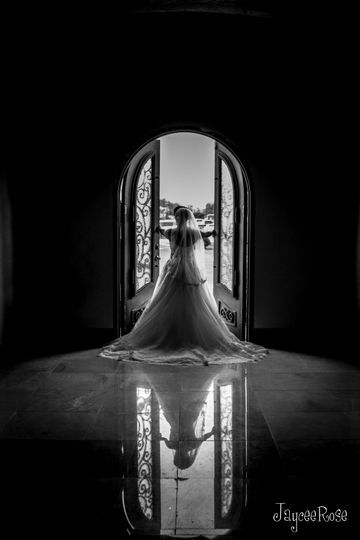 I booked the Grand Rose All Inclusive package and it included everything I envisioned for our wedding, and her in house vendors were outstanding! Thanks Teri, it is a day I will never forget! I have to say the venue was perfect! They did everything to make my day perfect and our wedding coordinator was beyond wonderful. I did not worry about a thing, everything turned out amazing and I was able to enjoy every bit of my day!!! This place looks fantastic and the staff are very accommodating. Grand Rose is very spacious inside and has plenty of bathrooms as well.